Pymwymic, the ‘Put Your Money Where Your Meaning is Community’ is hosting Impact Days on April 2 & 3 2019 in The Netherlands. The conference this year, is a special edition as Pymwymic will be celebrating 25 years of being committed to impact and action. In 1994, a small group of pioneer investors looked in the mirror. They wondered why they were focusing on profit on the one hand and on improving conditions for people and planet on the other. They decided to challenge the system, themselves and each other by putting their money where their meaning is. This is how Pymwymic was born. Now 25 years later, to honour this occasion, Pymwymic wants to challenge all involved by taking a close look in the mirror again and asking themselves: are we making the choices that will lead us to a better future? Those intend to learn from their past, are honest about the present, can make a pact for the future. During the conference, there will be unique opportunities to learn about impact investing through several sessions and workshops, while being challenged by global change-makers such as Feike Sijbesma, H.R.H. Princess Mabel van Oranje, and Sir Ronald Cohen, to look in the mirror to become a better version of ourselves. 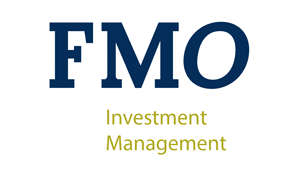 As an organisation fully in line with these believes, it is FMO Investment Management BVs honor to once again support the Impact Days as one of its sponors.